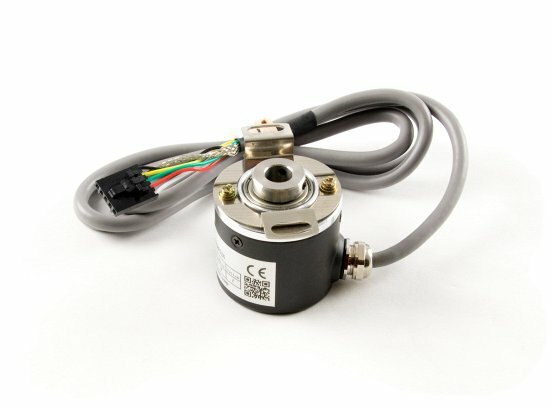 Note: The 3532_1 is the same as the 3532_0, except this revision has a 5-pin connector soldered to the end of the cable so it can be plugged directly into a Phidgets encoder interface. This sturdy optical quadrature encoder can be attached to the 8mm rear shaft of a motor without need for a shaft coupler. It has 360 counts (full quadrature cycles) per rotation and can be installed easily by fitting it over the shaft and tightening the set-screw. 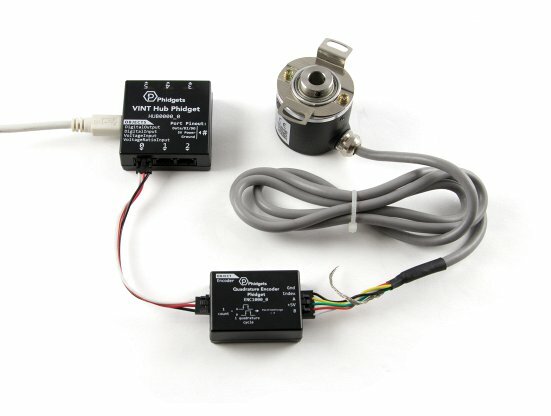 This encoder makes use of the index channel, sending one pulse for every full rotation. This quadrature encoder can be read by an encoder interface. See the Connection & Compatibility tab for details.